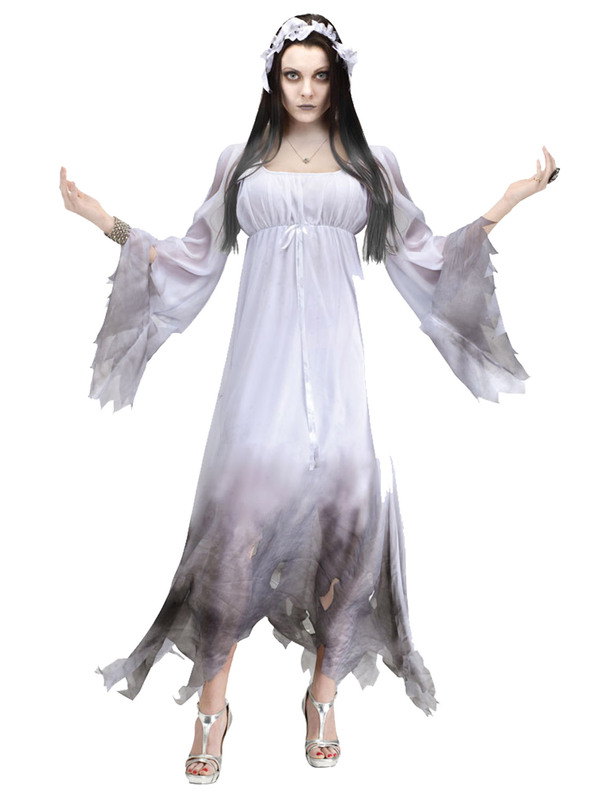 Transform yourself into a Spooky Ghost this Halloween with this Ladies Gothic Ghost Costume... Ideal if you are dressing up for a Halloween Party! Includes a long white dress with an grey ombre effect to the edges and a jagged hem and hole for extra detail. The dress has long flared sleeves with the same jagged hem and rip holes and is elasticated under the bust. This dress has a short white lining underneath so you cannot see-through the dress.